Available on-line from these stockists: Brengun €4.75, and Modelimex for €4.58. 2 x PE frets of 49 parts, 1 x photo instrument foil. Good level of detail and finesse. 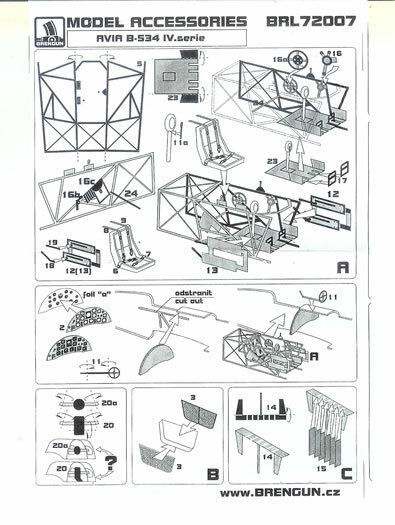 Well produced detail set that address a slight weakness of the RS Models kit. 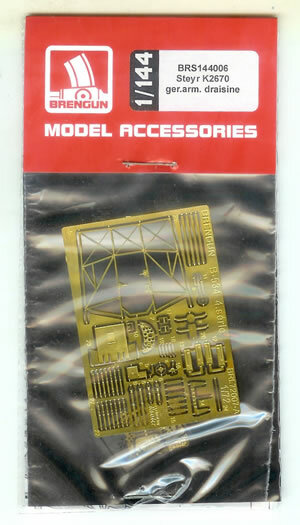 Brengun offers a number of kits, detail sets, accessories and conversions in 1/144, 1/72 and 1/48 scales. Some are very useful additions for existing kits and others are full kits in themselves such as a Freya radar station. 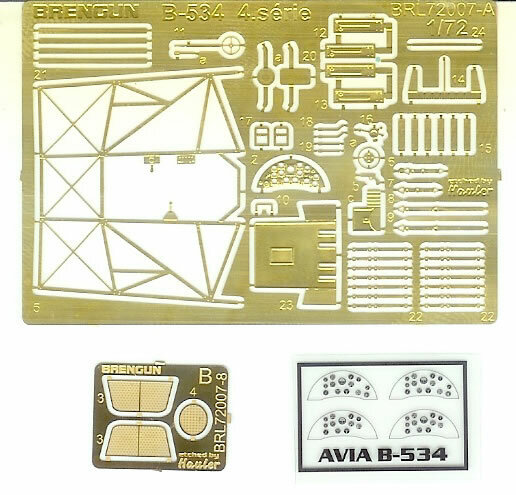 The set reviewed here is intended for the very nice RS Models Avia B.534 Series IV kit (Brengun offers similar sets specifically for the other three series of B.534’s by RS Models). I have previously reviewed the RS Models B.534 kits on Hyperscale in May this year. At the time I commented regarding the interior detail of the three B.534 kits reviewed:”Cockpit interior detail is adequate for the enclosed cockpit version, but perhaps a little sparse for the open cockpit versions. Some PE seatbelts and additional details would have been nice, but their absence is not a major issue.” So in many ways this set addresses what was about my only real and very mild criticism of the RS Models kits. The set set comes in a cellophane bag stapled to a card header with clear and comprehensive instructions. The PE is produced to high standard, and gives good levels of cockpit. The other main contribution of the set is in providing the radiator matrix and shutters, as well as the face for the oil cooler. Remaining small details include a gun-sight, bomb-rack sway braces, a step and tail struts. Perhaps interestingly, the combination the RS Models B.534 and this Brengun PE sets cost almost exactly the same as the HR Model Avia B.534 kit. I have this kit, and in terms of plastic, if not decal choices, it is every bit as good as the RS Models kit, but comes with a PE fret that is similar but not quite as extensive as Brengun’s. So the combination of Brengun’s PE and the RS kit effectively nullify the one advantage the HR Model kits had for about €1.00 more. And from what I can determine at least, the RS Models kits are much more readily available. This is a well produced detail set, and I’m sure the other three B.534 sets (BRL72008, 72009 & 72010) are the same. 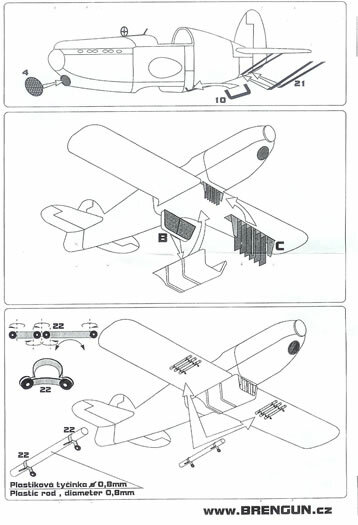 They address the one slight detail weakness of RS Models’ B.534 kits, which is more pronounced with the open cockpit Series I & II, by providing comprehensive cockpit detail. The refinement to the radiator and other details are bonuses also well worth having.